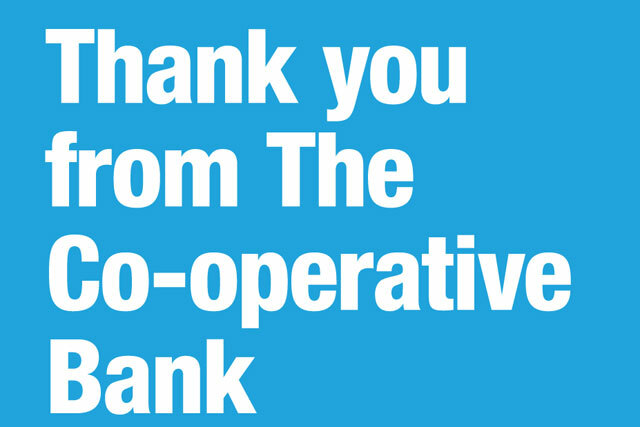 The Co-operative Bank thanked its customers, colleagues and investors in a print ad, as further allegations were made in yesterday's Mail on Sunday about the bank's former chairman Paul Flowers. The ad, created by Leo Burnett, took the form of a letter from Niall Booker, the chief executive of The Co-op Bank. It follows an ad in November, which claimed that "ethical banking" has always been in the bank's DNA. The ad ran in Sunday newspapers yesterday in a campaign planned and bought by Rocket. The copy in the ad said: "As many of you will be aware, 2013 was a testing year for The Co-operative Bank and as we start the New Year, I would like to say a heartfelt thank you to our customers, colleagues and investors who have demonstrated overwhelming loyalty and support throughout."